In the growing hectic life we provide you best fever reliever Anjal-S Capsule. 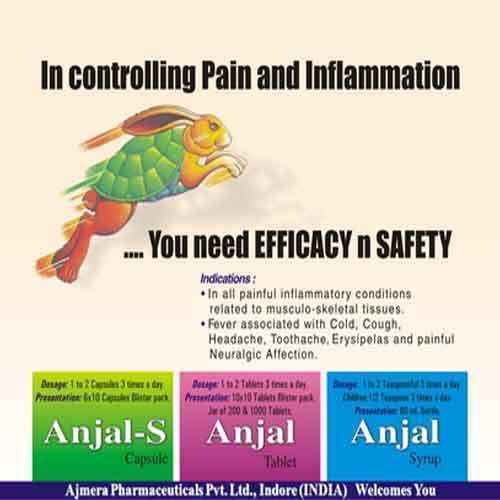 These products help to control inflammation and fever related problems. They are not restricted to one area of working. The products offered also helps in healing problems related to cough and cold. Only a dose of 1 to 3 capsules would show you the difference. Dosage: 1 to 2 Capsules 3 times a day. Presentation: 6*10 Capsules Blister pack.